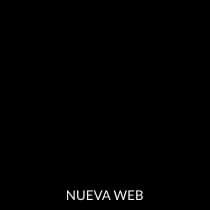 F-Bright LED - wide range of products based on LED technology. 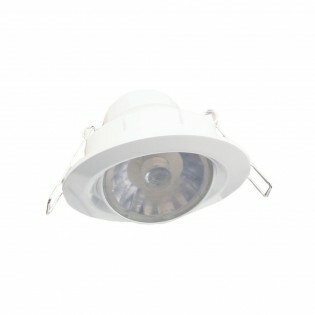 LED Recessed light with 8 Watts of power, cold light, ideal colour temperature for lighting kitchens or halls. You can configure its lighting angle to 90 degrees. 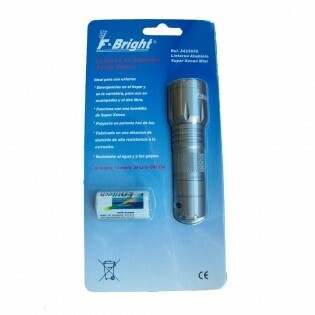 Light intensity of 600 lumens and service life of 25,000 hours.Dimensions: High 5.1 cm. Diameter 9 cm. Spotlight with lighting LED 8 W and warm light temperature ideal for creating a cozy atmosphere in your living room, dining room, bedroom...90 degree angle of illumination so you can direct the light to where you need it. Lifetime of 25,000 hours. Drill hole 7.5 cm.Dimensions: High 5.1 cm. Length 9 cm. Width 9 cm. 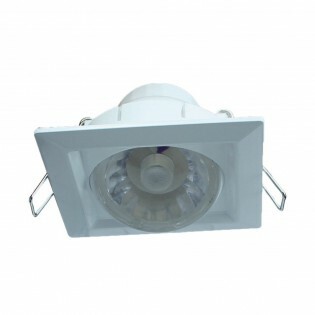 Spotlight square-shaped with lighting LED Integrated (lower consumption and higher efficiency than traditional), 8 W power and cold light temperature. Set the lighting angle to up to 90º and create different environments in your hallway, kitchen...Drill hole 7.5 cm.Dimensions: High 5.1 cm. Length 9 cm. Spotlight round, white and tiltable, so you can direct the lighting angle where you need it. 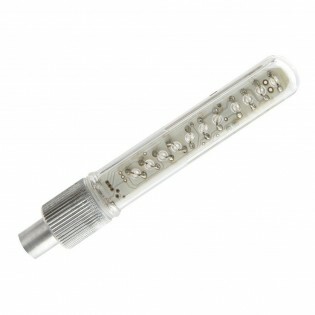 Lighting LED, power of 8 W and life of 25,000 hours. To be placed in all types of rooms.Drill hole 7.5 cm.Dimensions: High 5.1 cm. Length 9 cm. Flashlight made of black and yellow aluminium and composed of four leds rechargeable. Minimal light consumption. Built-in magnet. Ideal for bright illumination at night. Base of 5 sockets with individual switch. Each socket can be switched off individually or all the sockets can be switched off at the same time using the main switch. 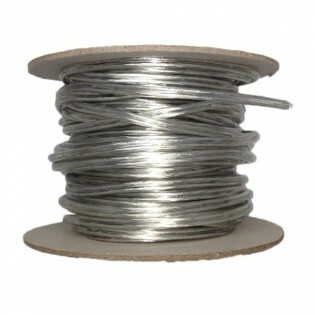 The length of the cable is to meter and medium, it is ideal for connecting electronic devices. It has protection against voltage peaks and overloads. Desktop base with 5 sockets and 2 USB charging. 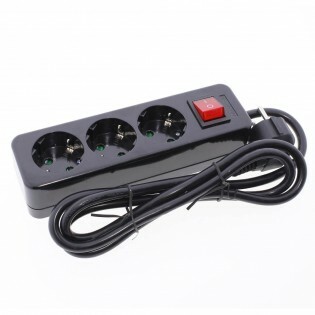 It has protection against power surges and an illuminated switch in case of power failure, to reset the power strip just press the illuminated switch. Its small size and squared design saves space while allowing you to connect all the devices you need. Base consisting of three black sockets. Includes On/Off switch. 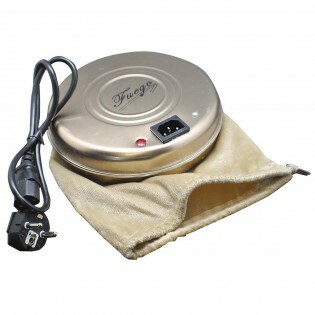 Fire bed warmer with pilot. 450W. Thermostat light, turns on when plugged in and off after approximately 8 minutes to warn that it must be disconnected. Provides between 3 and 5 hours of heat. Perfect for heating the bed on cold winter nights. 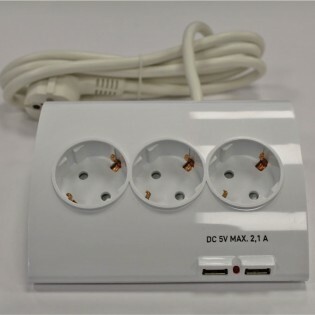 includes cover and plug connection cable (220v). Dimensions: High: 48 cm. Diameter: 36 cm. High lampshade: 23 cm. LED Light multicoloured to place on the bike's wheel valves. They light up with movement. It incorporates 11 coloured LEDs and 13 decorative effects. It has 3 batteries Ag10/LR54 (included). Blister pack of 2 units. 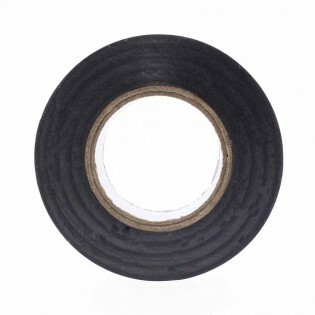 Black insulating tape. Thickness of 0.15 mm. Professional quality. Auto-extinguishing.Dimensions: 20 x 19 mm. Original braided cord cable rustic cord type. An original cable to create your own Lamp and add a touch of originality to any room, office, restaurant, hotel..... Perfect to combine with decorative Lampholder retro-vintage and Light Bulbs. 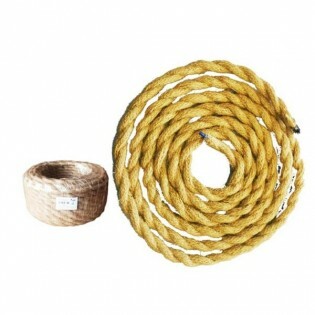 The price corresponds to a 25 meter roll of cable. (1 unit = 25 meters). 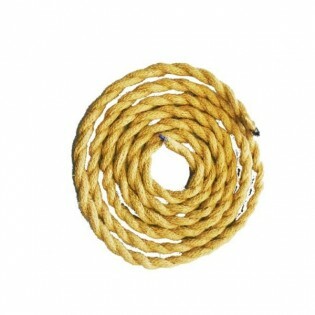 Original braided cord cable rustic cord type. An original cable to create your own Lamp and add a touch of originality to any room, office, restaurant, hotel..... Perfect to combine with decorative retro-vintage Lampholder and Light Bulbs. 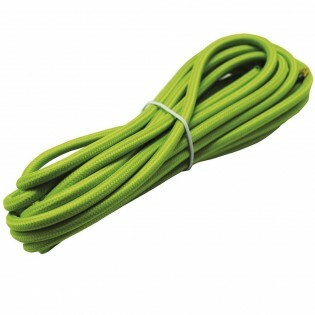 The price corresponds to a 5 meter blister pack of cable. (1 unit = 5 meters). Cable gland for adjusting the height of the lamp. 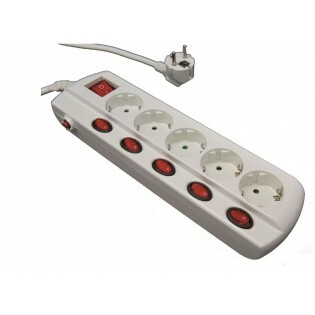 Valid for the lamps with textile cable. 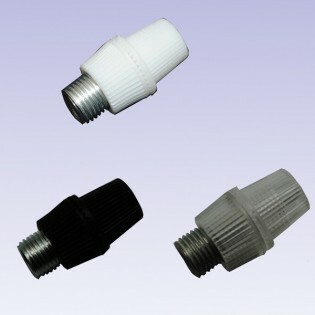 It has adjustment for two cables with maximum thickness of 0.75 mm. Choose the colour you want: white, black or transparent. Pack of 25 units. 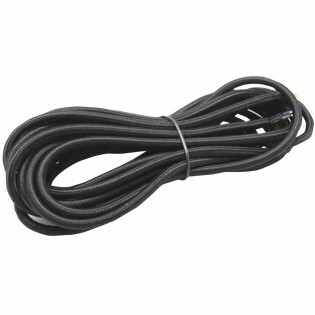 Original cable black flexibe two-wire with modern textile cover. 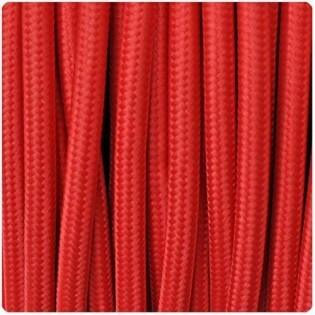 An original cable to create your own lamp and add a touch of originality and colour to any room, office, restaurant, hotel...The price corresponds to a roll of 25 meters of cable. (1 unit = 25 meters). 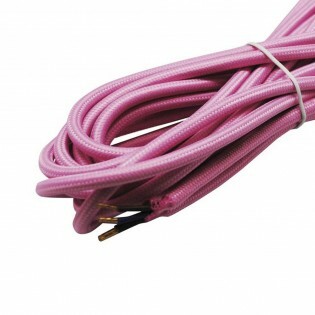 Original cable pink flexibe two-wire with modern textile cover. An original cable to create your own lamp and add a touch of originality and colour to any room, office, restaurant, hotel...The price corresponds to a roll of 25 meters of cable. (1 unit = 25 meters). 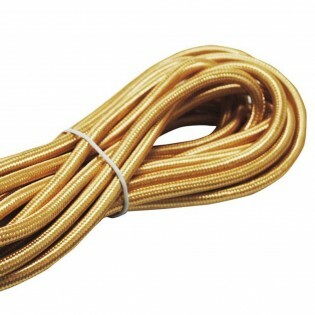 Original cable gold-plated flexibe two-wire with modern textile cover. An original cable to create your own lamp and add a touch of originality and colour to any room, office, restaurant, hotel...The price corresponds to a roll of 25 meters of cable. (1 unit = 25 meters). 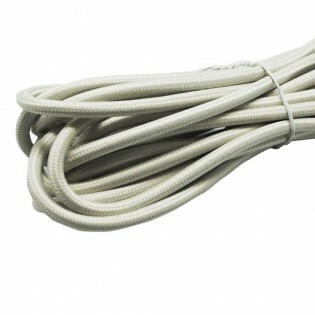 Original cable ivory flexibe two-wire with modern textile cover. An original cable to create your own lamp and add a touch of originality and colour to any room, office, restaurant, hotel...The price corresponds to a roll of 25 meters of cable. (1 unit = 25 meters). 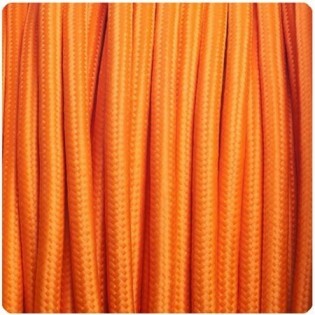 Original cable orange flexibe two-wire with modern textile cover. An original cable to create your own lamp and add a touch of originality and colour to any room, office, restaurant, hotel...The price corresponds to a roll of 25 meters of cable. (1 unit = 25 meters). 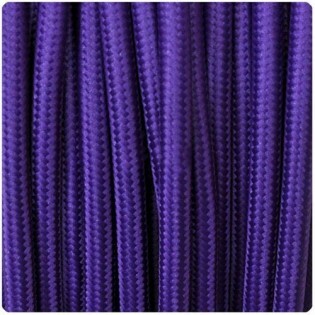 Original cable purple flexibe two-wire with modern textile cover. An original cable to create your own lamp and add a touch of originality and colour to any room, office, restaurant, hotel...The price corresponds to a roll of 25 meters of cable. (1 unit = 25 meters). 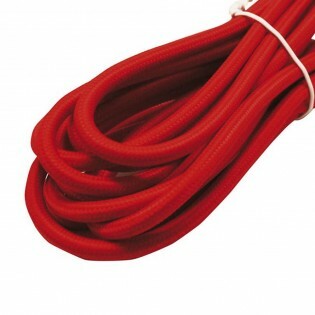 Original cable red flexibe two-wire with modern textile cover. An original cable to create your own lamp and add a touch of originality and colour to any room, office, restaurant, hotel...The price corresponds to a roll of 25 meters of cable. (1 unit = 25 meters). 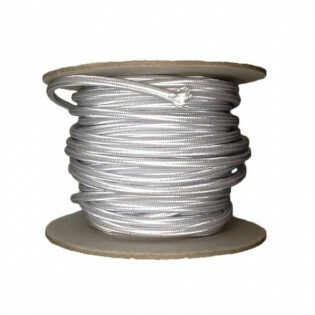 Original cable silver flexibe two-wire with modern textile cover. An original cable to create your own lamp and add a touch of originality and colour to any room, office, restaurant, hotel...The price corresponds to a roll of 25 meters of cable. (1 unit = 25 meters). Original cable transparent two-wire flexibe with modern textile cover. An original cable to create your own lamp and add a touch of originality and colour to any room, office, restaurant, hotel...The price corresponds to a roll of 25 meters of cable. (1 unit = 25 meters). 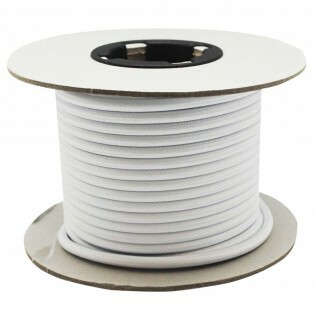 Original cable white flexibe two-wire with modern textile cover. An original cable to create your own lamp and add a touch of originality and colour to any room, office, restaurant, hotel...The price corresponds to a roll of 25 meters of cable. (1 unit = 25 meters). 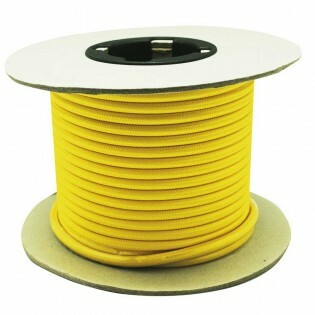 Original cable yellow flexibe two-wire with modern textile cover. An original cable to create your own lamp and add a touch of originality and colour to any room, office, restaurant, hotel...The price corresponds to a roll of 25 meters of cable. (1 unit = 25 meters). 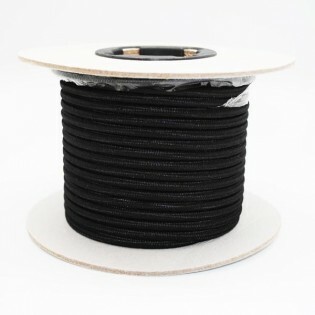 Original cable black flexibe two-wire with modern textile cover. An original cable to create your own lamp and add a touch of originality and colour to any room, office, restaurant, hotel...The price corresponds to 5 meters of cable. (1 unit = 1 blister of 5 meters). 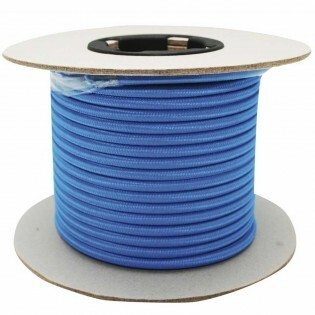 Original cable blue flexibe two-wire with modern textile cover. An original cable to create your own lamp and add a touch of originality and colour to any room, office, restaurant, hotel... The price corresponds to 5 meters of cable. (1 unit = 1 blister of 5 meters). 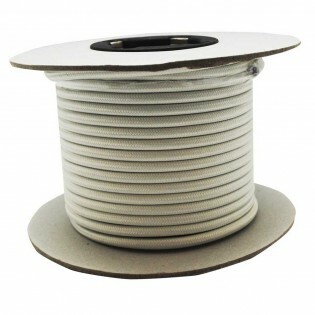 Original cable ivory flexibe two-wire with modern textile cover. An original cable to create your own lamp and add a touch of originality and colour to any room, office, restaurant, hotel...The price corresponds to 5 meters of cable. (1 unit = 1 blister of 5 meters). 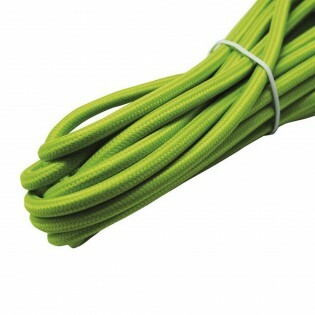 Original cable green flexibe two-wire with modern textile cover. An original cable to create your own lamp and add a touch of originality and colour to any room, office, restaurant, hotel...The price corresponds to 5 meters of cable. (1 unit = 1 blister of 5 meters). 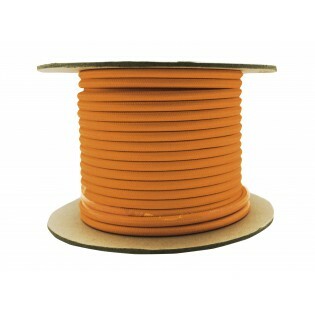 Original cable orange flexibe two-wire with modern textile cover. An original cable to create your own lamp and add a touch of originality and colour to any room, office, restaurant, hotel...The price corresponds to 5 meters of cable. (1 unit = 1 blister of 5 meters). Original cable pink flexibe two-wire with modern textile cover. An original cable to create your own lamp and add a touch of originality and colour to any room, office, restaurant, hotel...The price corresponds to 5 meters of cable. (1 unit = 1 blister of 5 meters). 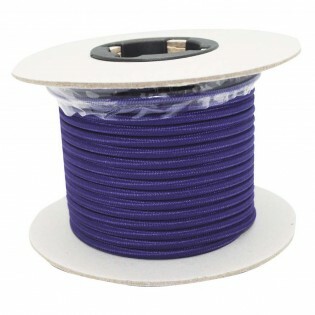 Original cable purple flexibe two-wire with modern textile cover. An original cable to create your own lamp and add a touch of originality and colour to any room, office, restaurant, hotel...The price corresponds to 5 meters of cable. (1 unit = 1 blister of 5 meters). Add a more original touch to your Lamp and create your own. 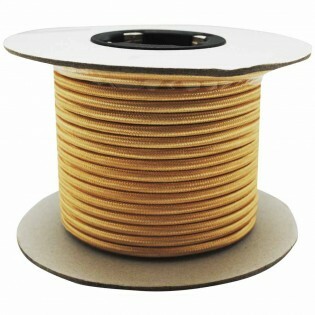 Two-wire flexible cable with textile cover. The red color of this saber will give a bold look to any room of your fire, restaurant, hotel, office.... making the Lamp the point of attention. 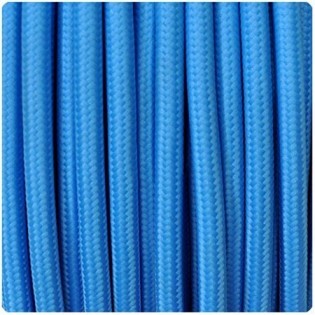 The price corresponds to a cable of 5 meters. (1 unit = 1 blister of 5 meters).